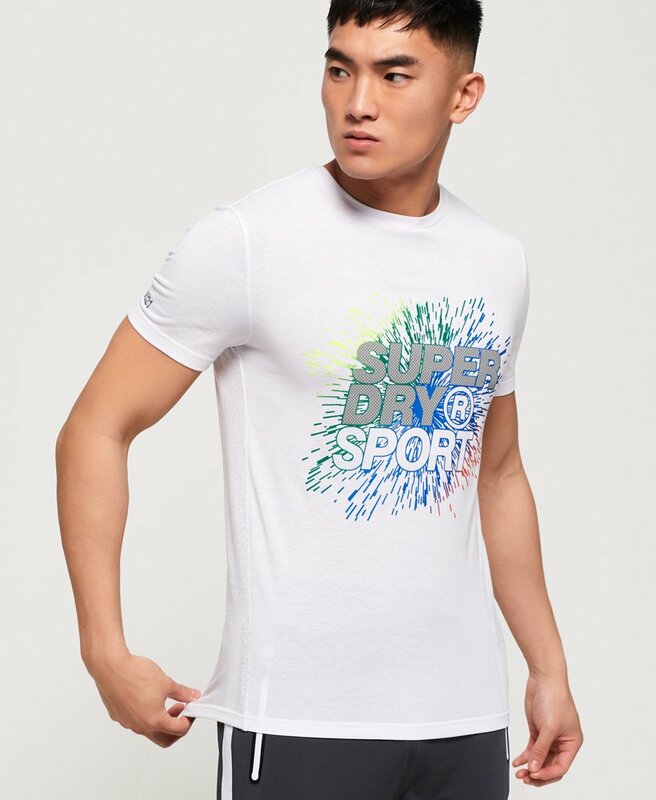 Superdry men’s active explosive t-shirt. This tee has been designed with moisture wicking, breathable fabrics to allow ease of movement and comfort. This super quick dry technology also includes flatlock seams in the design for strength and comfort as well as high visibility detailing so you can be seen in low light. This tee features a crew neckline, short sleeves and a large, reflective Superdry logo across the chest. For the finishing touch, this tee has reflective SD logos on the arm and back of the tee. This versatile tee can be worn on its own or layered when the weather gets chilly, team this tee with your favourite joggers or shorts for a sporty look this season.